Have you heard of Johan Cruijff, the famous cosmologist; the mathematician; the astronomer? Because in this post I wish to impart on you the wisdom of Johan Cruijff, the legendary Dutch football player and coach, who knew a thing or two about science. Quite recently I gave my first talk in the Netherlands, which is where I am from. The talk coincided with the EuroCup excitement, as well as Cruijff’s passing in March, so I decided to pay a tribute and make a football analogy with my research objectives. For those of you that do not know (shame on you), Johan Cruijff propagated a technique called Total Football (or “totaalvoetbal”, originally by Rinus Michels), in which players make use of the entire length of the field. For instance, a defence player may help in attacks and vice versa. In my research I try to apply a similar tactic: I also try to address several scenarios at different length scales with a small set of players in a single setup. You may call it Total Cosmology. Here’s how you could draw up the range of energy scales of interest. What’s interesting about our time as cosmologists today is that we have experimental access to both relatively small (though very high) energy scales at particle colliders, and super high scales by for instance measurements of the Cosmic Microwave Background radiation. The challenge is to understand how these scales connect. 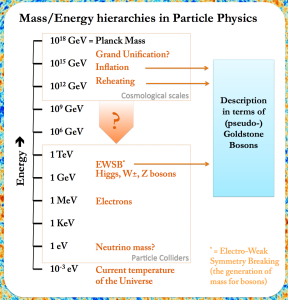 Large gaps between scales can be difficult to explain with particle physics, as quantum mechanical effects tend to flatten out hierarchies of masses. 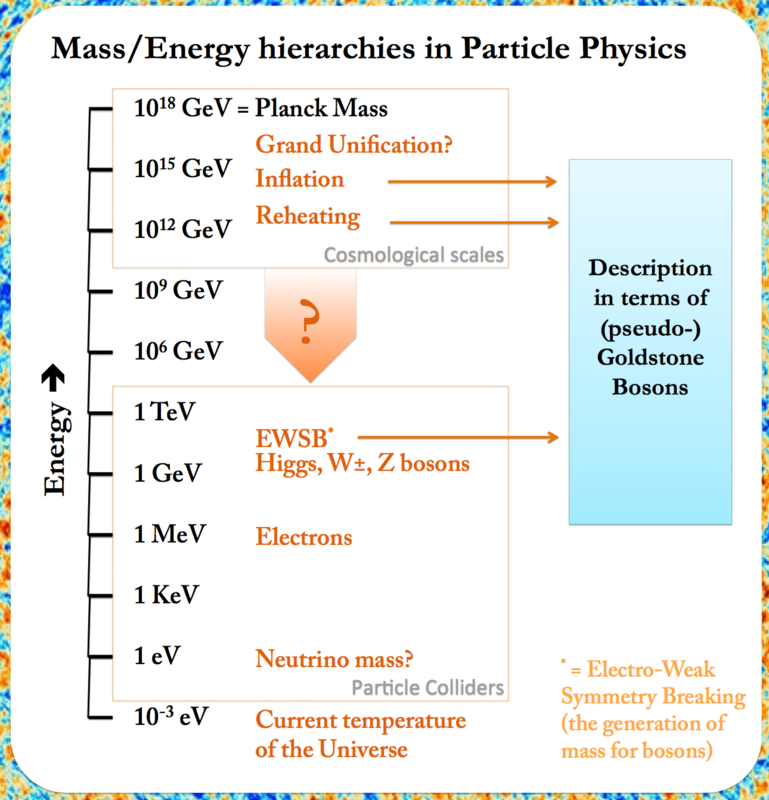 There exist very few particle physics models that describe both the Early Universe and collider physics. Luckily, you can still play Total Cosmology if you choose the right players. A certain type of particle, a so-called (pseudo-) Goldstone Boson may bridge distant scales. How exactly they do so is very technical to explain, and like Johan, I have spent a lot of time practising before I was happy with my feel for the ball. But what they do is quite simple: they will always obtain a mass much lower than the energy scale they are created at, and therefore create an energetic gap. So besides brilliant football player, coach, and oracle of truths, Cruijff can be considered cosmologist as well. 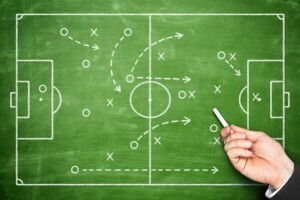 His tactic Total Football lends itself well to cosmology with Goldstone Bosons, real team players. Note that the scale of inflation actually depends on the microphysical model you use. Here I have plotted a very generic value. No doubt he himself would have approved wholeheartedly, one of his famous quotes being “You only start to see it when you grasp it”. In quantum field theory, messenger fields mediate between visible and the invisible sectors. The visible sector consists of the particles we can “see” (not necessarily with our naked eyes but definitely in experiments), the invisible sector has particles we cannot “see”. On this blog I hope to communicate my excitement about physics to everyone that would like to read about it. Keep posted by liking the Quantum Messenger on Facebook or by following me on Twitter.